Singam 2 starrer Suriya, Anushka and Hansika in the lead roles is all set to hit the big screens on July 5th. Filmmakers officially confirmed the release date of Singam 2.
entertainer with all commericial elements. 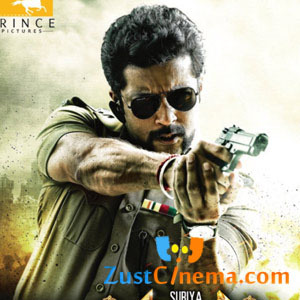 Suriya will be seen as Dorai Singam in this film. Santhanam, Vivek, Radha Ravi, Nassar, Danny Sapani, Muskesh Rishi et..al are playing other key roles in the film. Devi Sri Prasad composed tunes for Suriya's Singam 2 while cinematography by Priyan. S. Lakshman Kumar is producing the film under Prince Pictures Banner.